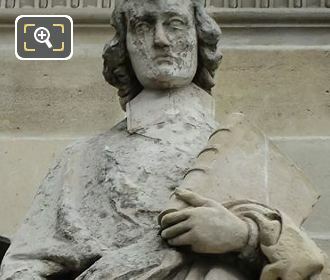 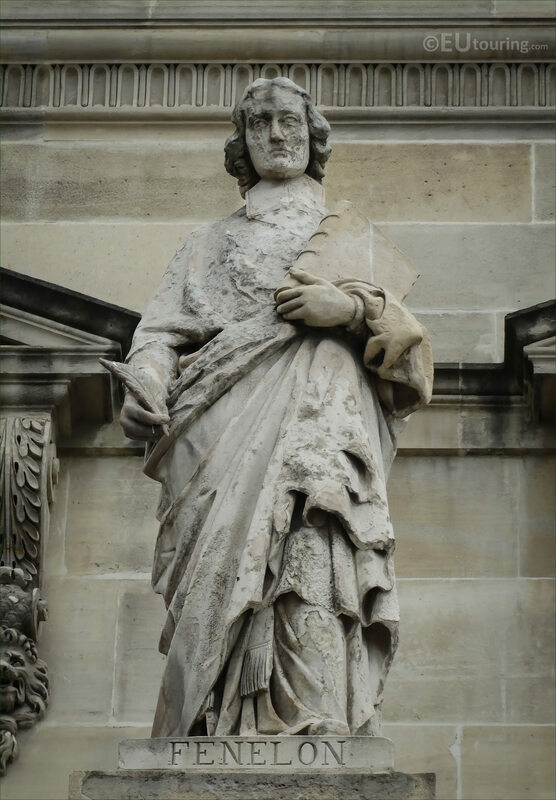 In these HD photos you can see a statue of Francois Fenelon by Bonnassieux that is located on the Aile en retour Turgot, which is one of the facades of the Louvre Museum that faces the Cour Carrousel in the 1st Arrondissement of Paris. 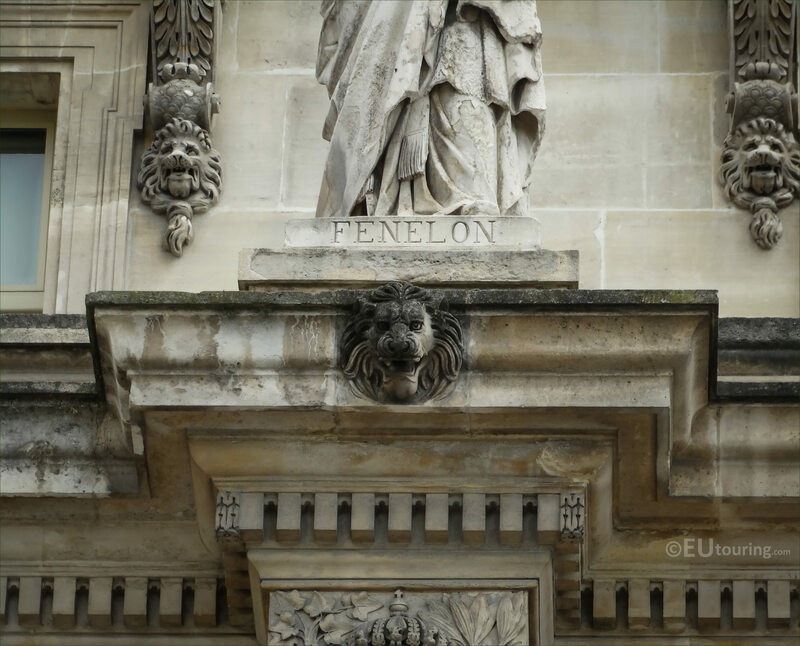 So in this first high definition photograph, you can see the stone statue that is dedicated to Francois Fenelon, and this is positioned on the first level balustrade in between the windows of the wing known as the Aile en retour Turgot within the Cour Napoleon of the former Palais du Louvre, even though this actually faces out to the Cour Carrousel. 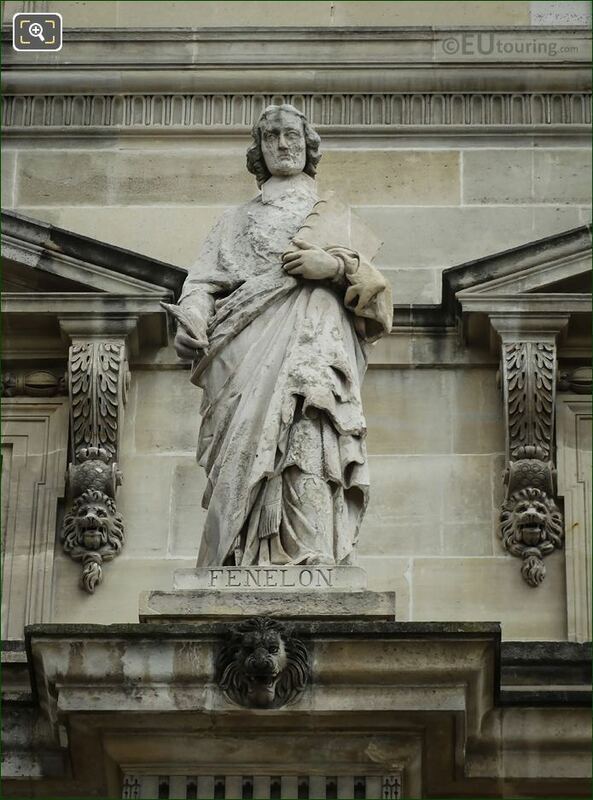 And in this slightly close image you can see the statue of Fenelon holding manuscripts and a quill pen, as just some of the details that the artist Jean-Marie Bonnassieux decided to implement, and Jean Bonnassieux, born in 1810 became a French sculptor, producing numerous sculptures for famous buildings such as the Musee d'Orsay. Now this last image shows the name of the statue that is dedicated to Francois de Salignac de la Mothe-Fenelon normally known as Francois Fenelon, who was born in August 1651 and became a priest, then French Roman Catholic archbishop, theologian, poet and writer, yet he is most well known for The Adventures of Telemachus, which was first published in 1699 and written while he was a tutor for the Dauphin's eldest son, the Duke of Burgundy, who was second in line for the throne.